This week Eagle Harbor Books on Bainbridge Island welcomes actress Lee Grant (Detective Story and Shampoo) and her daughter, actress and director Dinah Manoff (Marty from Grease) who is a local resident. This is a great chance to get a peek into Hollywood from Grant’s perspective. 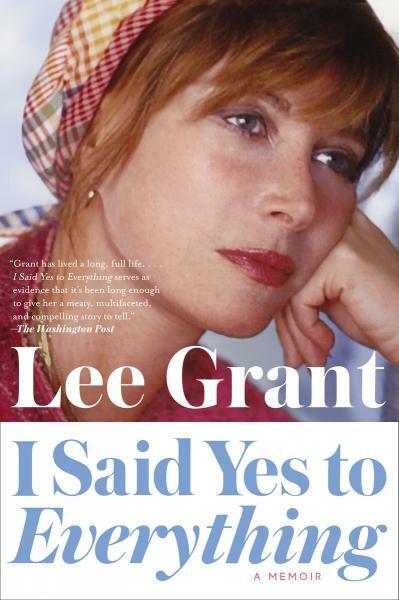 The pair will be discussing Grant’s autobiography “I Said Yes to Everything.” The actress had a busy childhood as a performer, worked on Broadway and made her first hit movie Detective Story with Kirk Douglas in 1951. Shortly afterward she was blacklisted by the House Committee on Un-American Activities during the McCarthy era for not testifying against her husband at the time, preventing her from being offered any major screen roles. After 12 years on that list and one child—Manoff—later, Grant went to work again starring in films like In the Heat of the Night and won an Oscar for Shampoo. She went on to direct an award-winning documentary among other works, and continues to act and educate today. The event is free, and will take place on Thursday from 7:30 to 8:30 p.m. at Eagle Harbor Books. Customers who purchase books in advance will get preferential seating and signing.